The 2001 PC hit will finally make its Google debut, but is your device compatible? 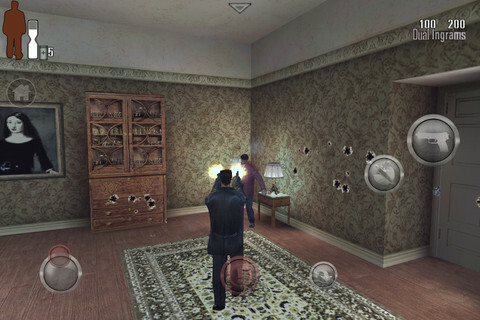 In April, Rockstar brought Max Payne to iOS to the delight of mobile users interested in using Bullet Time to kill waves of street scum. Unfortunately, Android fans were on the outside looking in, unable to find the game on the marketplace. Now, finally, Max Payne Mobile makes its Android debut June 14, giving players access to the gritty PC and console third-person shooter. Just make sure your device can run it. Supported Android Phones: Motorola Razr, Razr Maxx, Motorola Atrix, Motorola Photon, Motorola Droid Bionic, HTC Rezound, HTC One X, HTC One S, HTC Evo 3D, HTC Sensation, HTC Droid Incredible 2, Samsung Galaxy Nexus, Samsung Nexus S, Samsung Galaxy Note, Samsung S2, Samsung Galaxy R, Sony Xperia Play, Sony Xperia S, Sony Walkman Z Series Media Player. Supported Android Tablets: Acer Iconia, Asus Eee Pad Transformer, Asus Eee Pad Transformer Prime, Dell Streak 7, LG Optimus Pad, Medion Lifetab, Motorola Xoom, Samsung Galaxy Tab 8.9 / 10.1, Sony Tablet S, Sony Tablet P, Toshiba Thrive, HTC Flyer, HTC Jetstream.